Earning the badge requires closing the Exercise ring every day between Feb. 8 and Feb. 14 —Valentine's Day. The iMessage stickers pulsate, and in fact are the first animated stickers being awarded for any Activity Challenge. 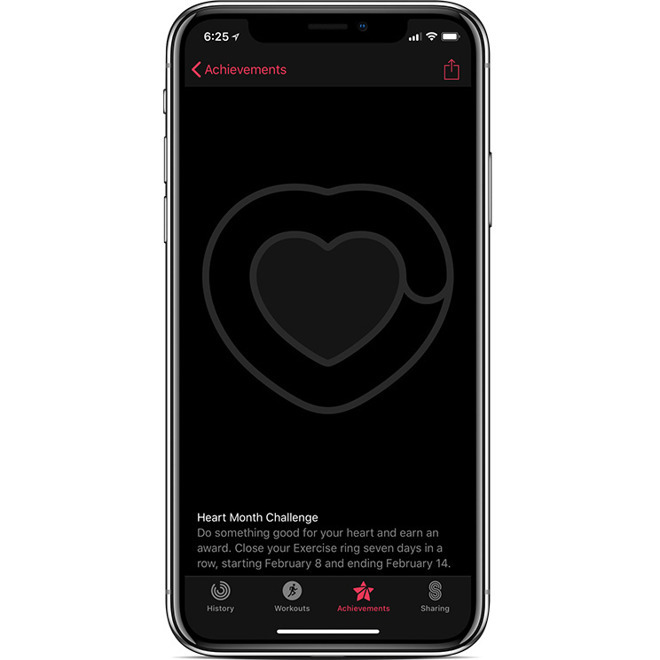 Apple regularly runs Activity Challenges to promote causes. Internally the company is using the Watch to run annual fitness competitions, with special rewards for people who achieve "gold" status. This year's prize is a custom Activity-themed Watch band. During Thursday's quarterly earnings call, Apple said that the Watch had managed 50 percent growth in both units and revenue for a fourth consecutive quarter. This was aided by the launch of the Apple Watch Series 3, the first model to offer cellular support.